Do you want to tan at a clean and friendly place? Do you want to use the best equipment available? High pressure units - the area's only true high pressure units! Our tanning units offer 12, 15, or 20 minute time limits. Plus, walk-ins are always welcome! So whether you're just looking to relax or you're in hurry for a tan, we have you covered! Unlike most fitness centers, we do NOT require you to have a fitness membership to tan with us! You can choose from single sessions, multi-session packages, or unlimited tanning packages. So if you just want to tan once, year around, or somewhere in-between we can take care of all your needs! upcharges apply for other units. A one time sign-up fee of $50.00 will be charged at the start of the package. The monthly fee will be charge on the 15th of each month to credit card or checking account until the package is cancelled. You may cancel whenever. You may use any unit below your package level. Upcharges apply for using units above your package. Do you want to improve your tanning results as much as 50%? 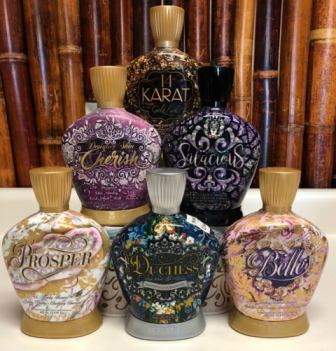 Try a professional quality tanning lotion by California Tan, Australian Gold, or Designer Skin. 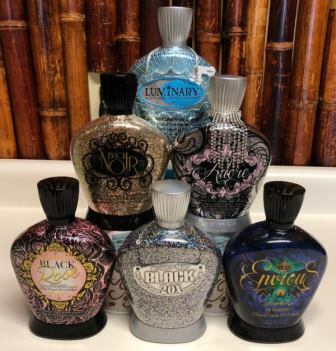 Tanning lotions can prepare the skin for tanning, moisturize, fight fine line and wrinkles to improve your tanning results. 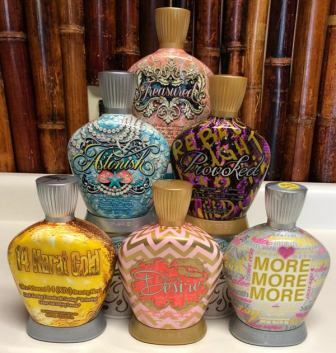 Because each person's skin needs are different, we carry products with bronzers, accelerators, and tan extenders! Just ask one of our staff which product is best for you! Going on vacation? Good news! We also carry California Tan SPF for outdoor use! 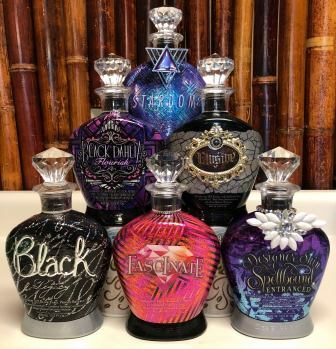 Take a look at just a few of the many options that we have for tanning lotions!